Dr. Gabriel Strauss was born and raised on Long Island. He received his doctorate in dental medicine from the University of Pennsylvania where he graduated with a certificate in clinical honors. 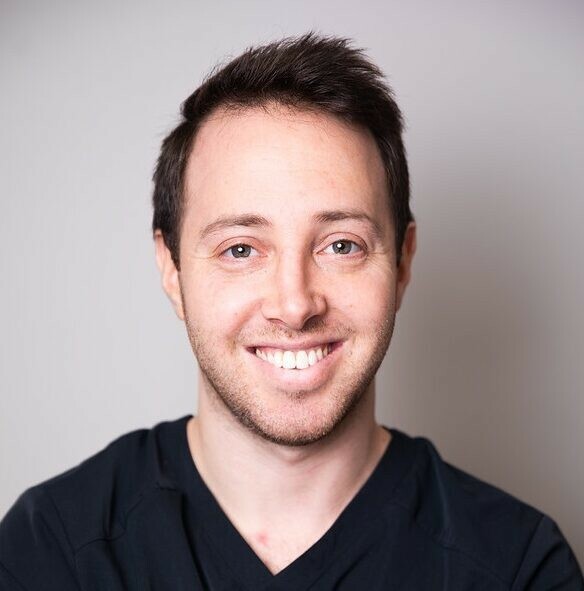 Dr. Strauss then completed his post-graduate training in periodontics at Rutgers University, where he received multiple honors and awards including chief resident and Balbo clinical poster award. At the Greater NY Dental Meeting in 2017, Dr. Strauss received the prestigious Carl Misch award for his excellence in presenting an alternative bone grafting technique. When he is not treating patients, Dr. Strauss continues to give back to the field of dentistry by performing research related to lasers, implants and peri-implantitis. Dr. Strauss loves what he does and that is evident by the relationship and trust that he builds with his patients. In his spare time, he enjoys spending time with his wife and dog. He is a big fan of the outdoors and enjoys skiing and cycling.